The Centre for Medieval Studies at the University of York is pleased to introduce an interdisciplinary conference that welcomes graduate students who are new to presenting their research, as well as more experienced students who would like to prepare for conferences later in the summer. Through a mixture of traditional panels, anonymous feedback sessions, and open discussions, this two-day conference will provide attendees with a unique opportunity to practice delivering papers and develop other presentation skills – such as creating more effective visual aids and navigating questions posed by the audience – in a friendly and constructive environment. Interactions between politics, church and society. We likewise welcome papers being prepared for Leeds IMC 2016, including the theme ‘Food, Feast and Famine’. Please email proposals of no more than 300 words to the conference organisers at cms-grad-conf@york.ac.uk no later than Friday 27th November, along with your name, institution, and area of research. If you have any questions concerning this conference, please do not hesitate to contact us using the email above. The kneeling figure is a ubiquitous medieval way of representing the human person, so common and defining that it is rarely considered. Why was this one of the central postures for representing the self? What did it mean? What does it bequeath to later models of selfhood? This lecture will argue that the kneeling gesture is associated with being called, out loud, by name. 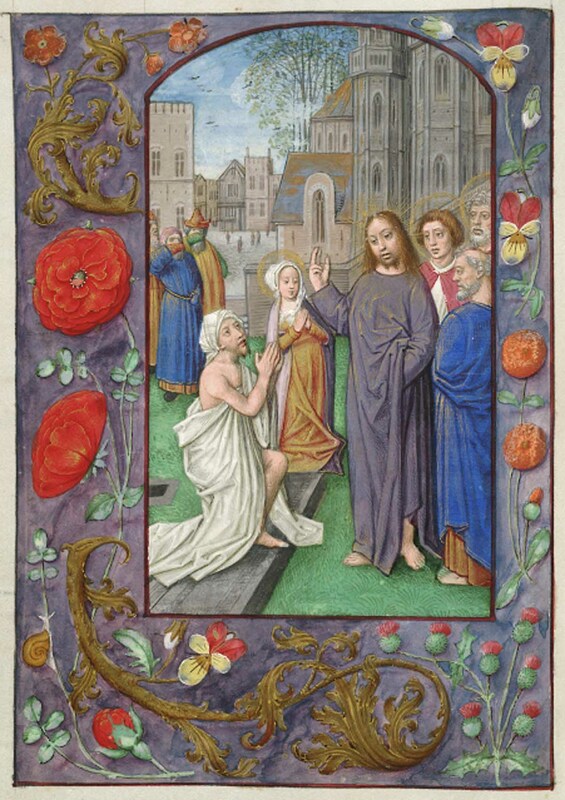 Textual evidence which demonstrates an association between kneeling and calling offers a crucial commentary on the visual articulation of the kneeling human person in the late Middle Ages and, furthermore, on definitions of selfhood beyond. Isabel’s background has been particularly in medieval gender studies from which she has taken a committed interest in the politics of the personal – the household, subjectivity, intimate relationships and social identity. Her monograph, Writing Masculinity in the Later Middle Ages, charted particular currents in the presentation of masculinity in a number of late medieval English literary texts. It was especially focused on the themes of labour and the household, in a period when they were deeply interconnected. She has carried over from that work an on-going interest in questions of marriage, subjectivity, love and labour and her more recent work has come increasingly to consider theological understandings of these topics. This new, more theological work is reflected in her publications on time, skin, calling and the Trinity. In 2011 Isabel won a nine month Leverhulme Trust Research Fellowship for a project entitled The Perpendicular Imaginary in the Late Middle Ages which set out to look at the human figure in relation to the strong vertical axes which governed medieval understandings of space. Her initial work on the kneeling subject has been published in Studies in the Age of Chaucer, in an article on St Paul and calling. Her current research is still embroiled with these questions; she is currently writing a monograph about the kneeling figure and its medieval meanings. During the late middle ages in France, there was a boom in translations of classical literature and of contemporary Italian writers such as Boccaccio. But such translations of text removed in time and place posed a problem: How could those involved in manuscript production, such as the artists, authors, translators, or book publishers, bridge cultural and chronological divides between ancient Rome, fourteenth-century Italy, and fifteenth-century Paris? In this lecture Anne D Hedeman will explore how visual imagery interacted with texts to make the past present to a new French audience. Anne D. Hedeman is the Judith Harris Murphy Distinguished Professor of Art History in the Kress Foundation Department of Art History at the University of Kansas. Her research examines the relationships between a text and its images in vernacular late medieval French manuscripts in order to contextualize this experience and gain insight into late medieval ideology and society. 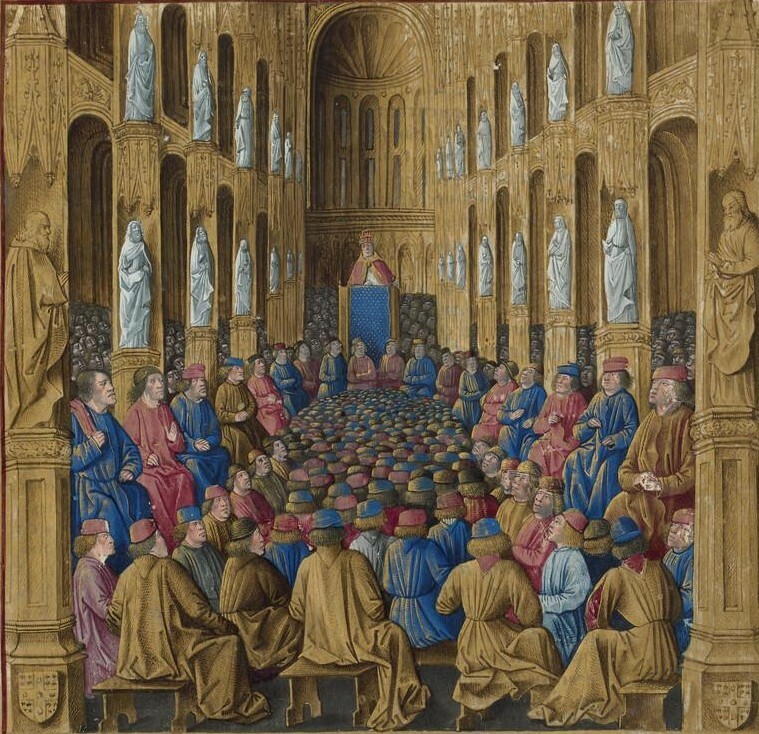 In books she has analyzed the role images played in the earliest national history of France, showed how a royal secretary sought to use images to capture the attention of the mad king Charles VI, and considered the key role that visual imagery played in translating texts originating in earlier times or in non-French cultures to make them appealing and accessible to fifteenth-century French readers. 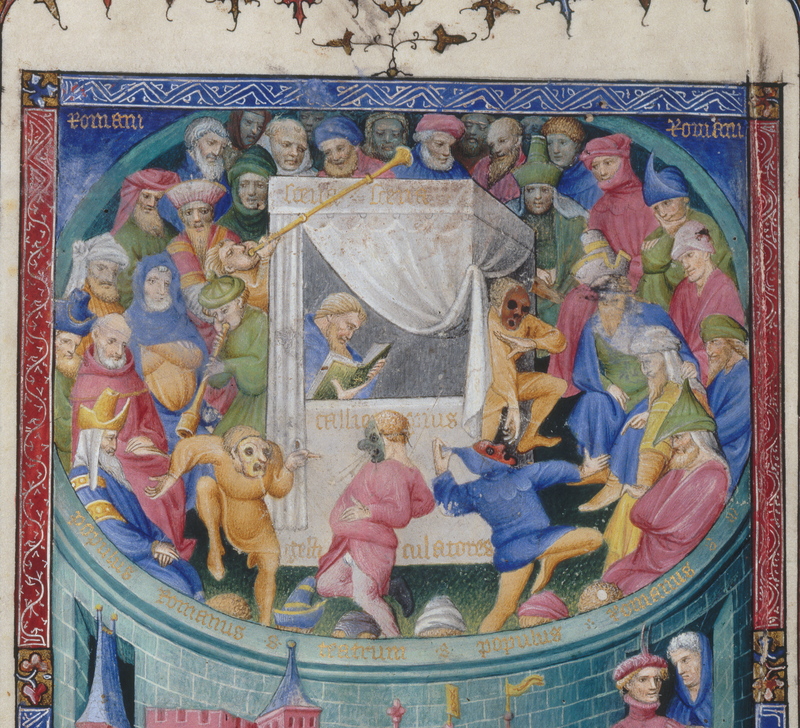 Her book in progress will analyze the role of this visual translation in works owned or made by three French humanists who were instrumental in introducing ancient Roman and contemporary Italian texts to the French court in the early 1400s. She has also co-curated an exhibition at the Getty Museum and co-authored its catalogue, Imagining the Past in France, History in Manuscript Painting 1250-1500 which was a finalist in 2012 for the Alfred H. Barr Award for Museum Scholarship. Her research has been supported most recently by a Guggenheim Fellowship and recognized by election as a Fellow of the Medieval Academy of America. 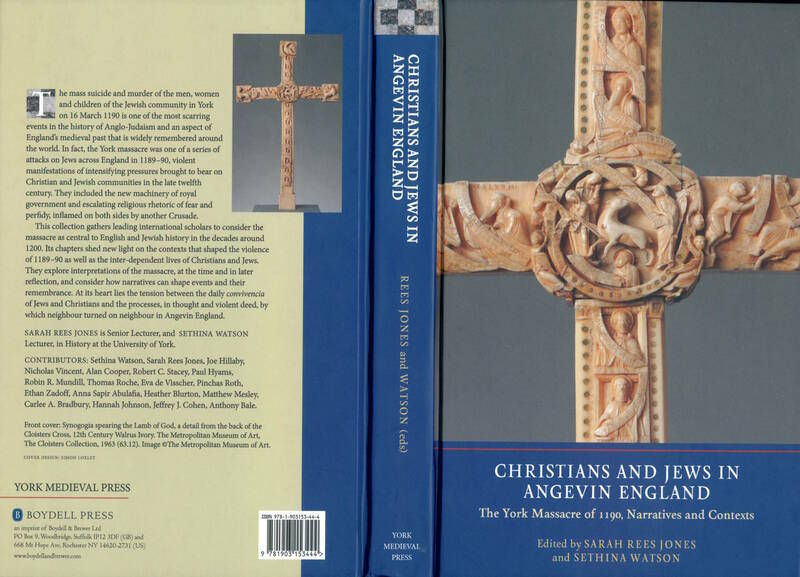 I have been involved with the Centre for Medieval Studies since I arrived in York in 2005 to take the MA in Medieval English Literatures, after which I returned in 2007 to begin a PhD on private prayer in late Anglo-Saxon England. Although I was a member of the Department of English and Related Literatures during my periods of study, the CMS gave me the opportunity to meet, socialise and collaborate with other medievalists across different disciplines, both those from York and visiting speakers from other universities. 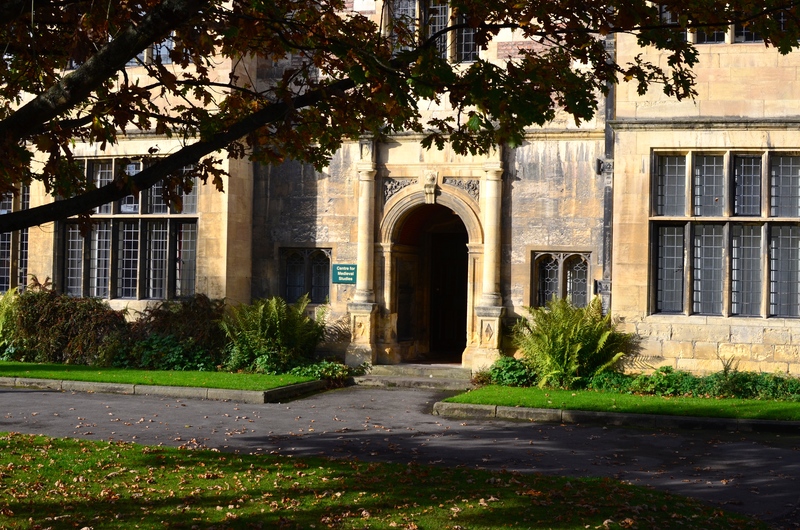 Since completing my PhD, I have joined the Centre for Medieval Studies as a Research Associate, enabling me to continue my research whilst planning the next steps in my career. So far, I have used this position as an opportunity to speak at conferences, and to publish a short article and some book reviews. 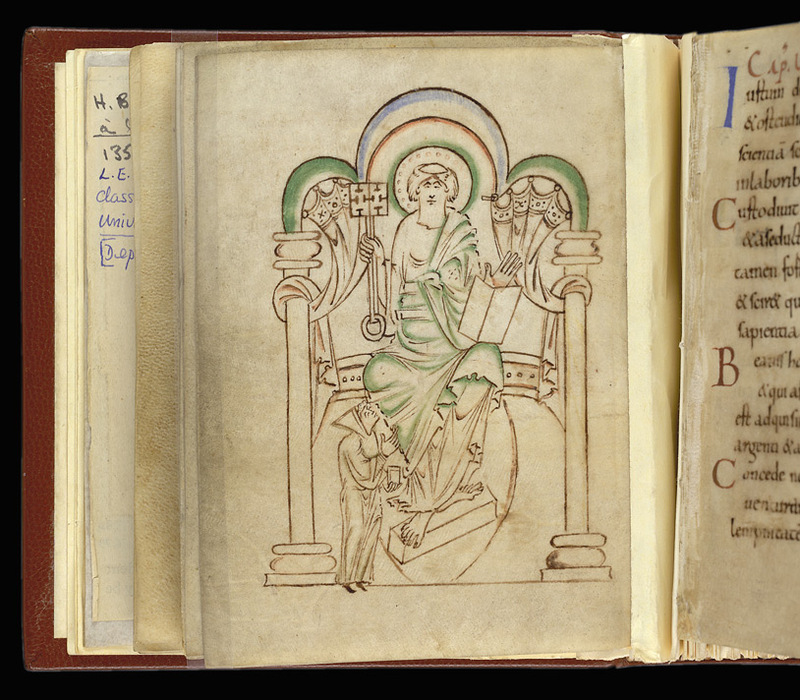 My present work is a book based on my doctoral thesis, titled Before the Books of Hours: Anglo-Saxon Prayer Programmes in Practice, which has been accepted for publication by ARC Medieval Press (Western Michigan University Medieval Institute Publications). Applications are invited for an internship as an Editorial Assistant for the York Medieval Press. YMP is an imprint of Boydell and Brewer Ltd, published in association with the University of York Centre for Medieval Studies. The aim of YMP is to promote innovative scholarship and fresh criticism on medieval culture. It has a special commitment to interdisciplinary study, in line with the Centre’s belief that the future of medieval studies lies in areas in which its major disciplines at once inform and challenge each other. The successful candidate will work with the General Editor of YMP, Professor Pete Biller, and the other members of the editorial board that manages this highly successful series published by Boydell and Brewer. This position offers the opportunity develop important professional skills and work experience in publishing. This opportunity is open to any York PhD student from the Centre for Medieval Studies or any student writing a medieval PhD in the departments of Archaeology, English and Related Literature, History or History of Art. The position will be paid at the hourly rate of £15, with an anticipated workload of up to ten hours per month. The position will initially run for a period of 12 months, though can be renewed at the discretion of the General Editor and the Director of the Centre for Medieval Studies. The Editorial Assistant will compile an inventory of the books owned by YMP, check to see what gaps there are in the holdings of the libraries in York, and liaise with the CMS office to unpack boxes of newly published books, and to distribute copies to libraries in York and to readers. The Editorial Assistant will liaise with the members of the YMP Board and the CMS office to organize the bi-annual meetings of the YMP Board. This will involve confirming the time and location for each meeting, distributing the agenda, and after the event distributing the minutes that are drawn up by the Secretary. 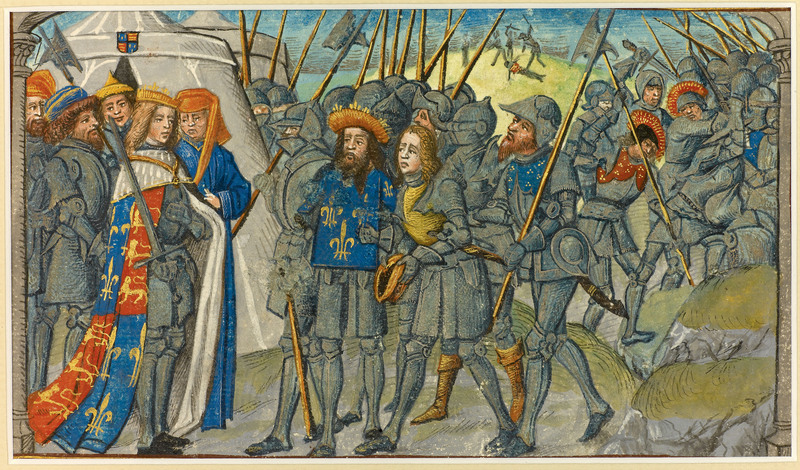 The famous battle of Agincourt took place on Friday 25 October 1415 (Saint Crispin’s Day). Henry V’s victory against a numerically superior French army, crippled the Valois monarchy and initiated a new phase in the Hundred Years War during which the English conquered Normandy and forced King Charles VI to accept a treaty naming Henry V as the heir to the French throne. The national Agincourt 600 Committee is organizing and funding a number of events across the country to commemorate the battle, and has generously agreed to fund a public symposium that will take place in the Bowland Auditorium at the Berrick Saul Building at the University of York on Friday 23 October 2015. Tickets for this public event are available through the University York website.